Both the stroke and a heart attack occur suddenly. Both carry few common symptoms while the causes differ with each other. The symptom of a stroke is associated with a sudden and powerful headache. The stroke is related to the brain attack while the heart attack is related to severe chest pain. Before getting on the treatment for each, it becomes evident to have a study on the symptoms and the causes. On what factors the symptoms depend on? The symptoms to both the stroke and heart attack depends largely on the severity of the attack, the age of the patient, the gender of the patient and of course, overall health is considered before analyzing the treatment procedure. Both the stroke and a heart attack are caused due to the blocked arteries. The stroke is caused when a blood clot in an artery stops the circulation of the blood to the brain. The Carotid arteries supplied blood to the brain and when this function hampers, stroke appears. Another reason for the stroke is high blood pressure. A heart attack is caused when the coronary artery is blocked and the function to supply blood to the heart muscle stops. Blockage can lead to heart stroke and this happens when a blood clot stops the flow of the blood. Both the stroke and the heart attack have similar risk factors. Like; smoking, high cholesterol, high blood pressure, age and the family history pose risk to the patients from getting caught with either of the two. Of course, there is. 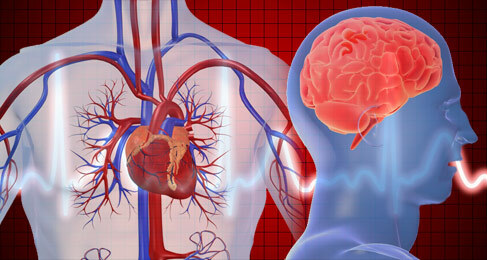 The major difference lies in the areas they affect, a stroke affect the brain while the heart attack affects the heart. Another difference lies with a diagnosis and the treatment available. If you get caught with a stroke, your health specialist will have a quick summary of the symptoms and get a CT scan of the brain. Also, an MRI is done to check the actual position of the stroke. On the contrary, to diagnose a heart attack, your previous medical history is examined, followed with an electrocardiogram, which is done to check the health of your heart muscle. Though the diagnosis of both the attacks is different, so as their treatment follows. However, both the strokes will get you to begin a healthy lifestyle to have a better result of the treatment.